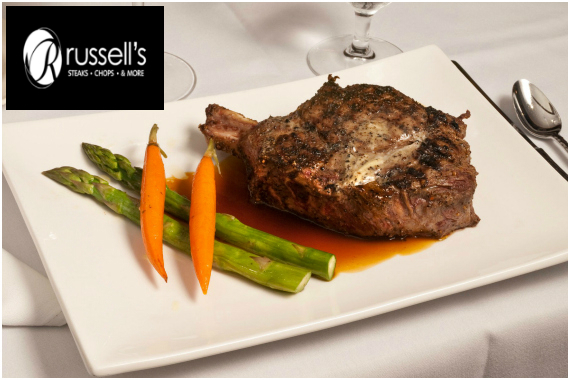 Russell’s Steaks, Chops, & More has been serving some of the most popular steakhouse selections since 2008. Come and see why we continue to be the best! "Clink, clink! We'd love to hear what you think: http://bit.ly/2gKs6Qm"
"This is the only bone you'll have to pick with us." "Start your week with something sweet." "Nothing brightens a day more than a delicious meal." Possibly the best meal ive ever eaten.everything perfect!! Yes, I'd like to receive news from Russell's Steaks, Chops, & More. Sign up for the Russell's Steaks, Chops, & More Newsletter!